Have a Vest Man experience to share? Submit it here! "This Vest has really helped with my lower back issues by taking most of the weight off my gun belt. It really does help with the heat too. It's not cheap but I'm really happy I spent the money...I love it already and see there will be some serious long term benefits for my lower back. I'm really glad my department finally came around to allowing this vest." 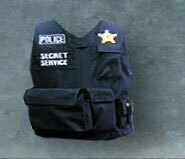 "I was given the task from the department head to research the different load bearing vests on the market. After some time of talk with other departments and countless hours of online research, our department decided to purchase a "Vest Man" for patrol tests. I have been wearing the "Vest Man" now for over six months and I will never be going back to the old duty belt. I have noticed the ease and speed at which I can enter and exit the patrol vehicles. No more sore lower back or knees. "The Vest Man" is now being phased in as the department standard over the overloaded duty belt." Received my new vest in less than four weeks. The fit and finish is superb! I am very impressed with The Vest Man company's professionalism and customer service. My hybrid external vest carrier is the best purchase I've made in several years. I highly recommend The Vest Man. I have to say that this is one of the best products I have had in a while. The ease of ordering your vest and all the options you have is super. I do nothing but gloat to the guys at work about it. I highly recommend The Vest Man to anybody in Law Enforcement. "I have been a police officer for 21 years and now I am a motorcycle officer for Manhattan Beach Police Department. Nine months ago MBPD has allowed officers to start wearing external vest carriers made by The Vest Man. I have been wearing one for this time period and the results are fantastic! My fatigue levels and body aches have diminished significantly and I have more energy because of the reduced heat factor as well. I would recommend the product for its gains and professional look to any law enforcement professional. MBPD purchased a vest carrier for every officer and I liked it so much I purchased a second one with my own personal funds." 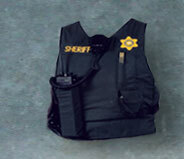 "I would highly recommend The Vest Man to anyone in Law Enforcement. The entire process is extremely simple and the guys are 100% determined to make sure you get the exact custom vest for your individual needs. The quality is second to none! The vest I bought may just last forever but if I or anyone I work with ever need a vest we're going straight to The Vest Man." "Just received my vest today after a short three weeks!!! It is way better than I expected!! The workmanship is excellent and everything was perfectly positioned where I wanted it! Thank you very much! I will let my co-workers know about The Vest Man." "I just wanted to let you know that I had to send my vest back for some minor adjustments…not a big deal. I got the vest back (FAST) and it fits perfectly! And I mean perfectly. I am so happy I am lost for words. Thank you for taking care of me. I will do my best to share my experience with the other local law enforcement agencies. I am happy to show off my awesome vest. Thank you!!!!!!!!!!" "I have been using my vest for a little over a year. I couldn't be happier with the product. Our entire office is using the vests and love the benefits, so does my lower back. It is always easy to work with The Vest Man." "I have worn my carrier for 18 months and I love it . It's set up exactly how I want it, with the equipment where I want it. There is no custom touch they cannot accomplish. When my vest needed some TLC from my heavy use the customer service was phenomenal. Living in a cold climate one of my favorite things about my vest is that I can wear my warm winter coat underneath it and still have access to all my gear."